2011 Holiday Tree Lighting: Photos! The 2011 Transit Garden Holiday Tree Lighting and Party was a big success! 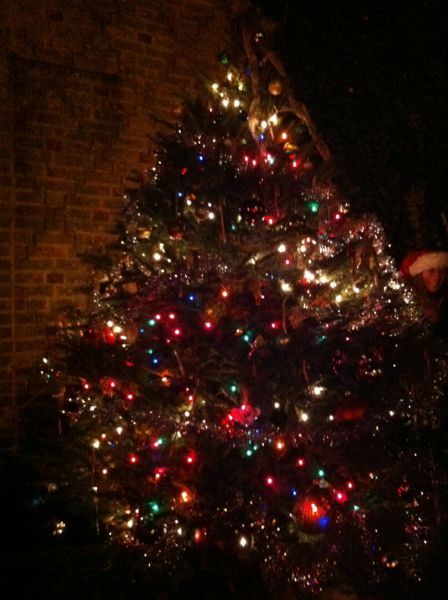 Everyone spruced up the garden, strung up lights, hung bows, decorated the tree, and enjoyed some yummy food and drink. Fun was had by all! Below are a few pictures of the day/night. If you have others, email Susan Leopold or post them to our Facebook page. Sure thing. Glad you like them ! 2011 Holiday Tree Lighting: more photos!